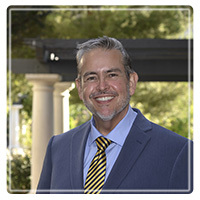 San Diego Therapist: Edward L. De La Loza - Therapist 92121. Send A Message To Edward L..
Hi there! I have been working to help others discover their unique purpose since 1997. I specialize in Cognitive Behavioral Therapy (CBT) and have been assisting people to identify and achieve their personal goals by coping with the issues that are causing them distress. You will receive compassionate and non-judgmental guidance, along with a holistic approach that is easy to understand. On your journey, you will learn strategies to gain insight, practice self-mastery, and the ability to design your path to a new life. I take great pride in the progress and success of my clients and look forward to helping you.